An artist’s impression of the IJM’s Light Point project along the Jelutong Expressway. KUALA LUMPUR-BASED developers will execute projects with an estimated gross sales value of RM2bil on Penang island this year despite a challenging economic climate and price the new products competitively. IJM Land Bhd, for example, is launching projects with estimated gross sales value (GSV) of RM350mil in the second and third quarter of 2009. These are high-end sea-fronting projects comprising the RM200mil Light Linear, RM102mil Light Point, and the RM48mil Lots 28 located near the Jelutong Expressway. The Light Linear consists of two 17-storey block of 328 condominiums on a 7.6 acre land, while the Light Point is a 28-storey block of 88 condominiums on a 2.8 acre site, and Lots 28 comprises 28 units of two and three-storey commercial and shop offices on a 2.6 acre site. Pricing new property launches competitively does not mean lowering the selling price. IJM Land Bhd managing director Datuk Soam Heng Choon says the group’s new properties would be priced competitively to reflect current construction cost, which in reality was still above the pre-July 2008 level. “In reality, prices of construction materials are still high, with the exception of steel bars. “To reduce the price further means to go for lower specification and finishes. “However, the flexible loan packages and other incentives thrown in by the developer will make the properties more affordable,” he says. Soam adds that the group recently launched the RM174mil Summer Place condominium project, located at the Jelutong Expressway. “About 40% of the 531 condominiums in Summer Place was taken up on the first two days of the recent soft launch,” he says. C P Group is implementing its RM300mil BayVillas water project at the end of 2009 for its RM2bil Queensbay project in Bayan Lepas. Its executive chairman Datuk Tan Chew Piau says the BayVillas comprises 76 waterfront bungalows, waterfront gardens, and garden villas, equipped with built-up areas ranging between 3,100 sq ft and 10,000 sq ft. The entire project is guarded and has private swimming pool facilities and smart home features. Tan says the group’s 335-room, Eastin Hotel located in Queensbay, will come on by the end of 2009. “This will be the second hotel operating under the Eastin brand name,” he says. Tan adds that the group is holding back the commercial project, BayCapital office suites, scheduled for launching in mid-2008, after the country succumbed to the global economic recession. To date, CP Group has generated about RM600mil from the sales of its properties in Queensbay. The largest project to take off the island this year comes from Mah Sing Group Bhd, which expects to launch its RM1.35bil Southbay Penang by mid-2009. Group managing director and chief executive Datuk Seri Leong Hoy Kum says that the launch of the project would coincide with the completion of Southbay Penang’s showhouses. Leong says the Southbay Penang had to date attracted more than 3,000 prospective buyers of which 70% had registered their interest for Residence@Southbay’s superlink homes, and the rest registered their interest for Legenda@Southbay’s designer bungalows and Southbay City, the commercial precincts. On the prices of Southbay Penang’s properties, Leong says the early registrants would still enjoy the old prices they signed up. “We will not lower the prices but we will make it easier for buyers to own properties through our Easy Home Ownership scheme which has been very well received. The Southbay Penang, comprising 376 units of landed residential properties and an integrated commercial hub, is scheduled for completion within seven years. Tan Sri Hamad Kama Piah Che Othman (left) and Datuk Lim Kim Hong. Hamad says i-Bhd has acquired knowledge in developing properties with state-of-the art facilities amd it's good to learn more about it. The intelligent business park project that I-Bhd is developing in Shah Alam can be constructed along similar lines by the company. It has the expertise and financial resources to do so. It has made early tracks in establishing a record in this field which is now held back by the global recession. A successful completion of its RM2bil i-City will set it on the road to other states. Permodalan Nasional Bhd (PNB) CEO Tan Sri Hamad Kama Piah is convinced I-Bhd has developed expertise in this niche. To a question on joining a company that’s small for the scale of PNB, he told StarBizWeek recently that it’s not a matter of small or big. “It has acquired knowledge in developing properties with state-of-the-art facilities and it’s good to learn more about it,” he adds. i-City boasts multi-telecommunications facilities and high-speed Internet access at a speed of 10 megabits per second (Mbps), which is 10 times the speed of Telekom Malaysia Bhd’s Streamyx service of 1Mbps or less. The high-speed broadband will be useful for workers of companies in the information technology (IT), animation arts, law, architecture and banking sectors for which i-City is designed for. In addition to the interest in i-City, Hamad says PNB has been associated with I-Bhd deputy chairman and controlling shareholder Datuk Lim Kim Hong for several decades. In the 1980s and 1990s, this association was in Dreamland Holdings Bhd where both Lim and PNB were substantial shareholders. Lim sold his controlling stake in Dreamland some years ago. During his watch, Dreamland produced steady profits and dividends, attributes that attract PNB. 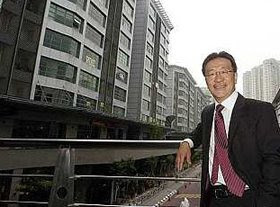 Lim, through his family-owned company Sumurwang Sdn Bhd, owns 58% of I-Bhd while PNB owns 18%. In a re-entry into the corporate sector, Lim bought a controlling stake in Neico Industries Bhd which manufactured Sanyo electrical appliances. Neico was renamed I-Bhd but, after an unsuccessful attempt to expand the electrical appliances business, this division was phased out in 2007. Its sole business now is its i-City project and a lot of cash. I-Bhd has net cash of RM120mil, which exceeds the company’s total market value of RM89mil on Thursday. The i-City project may need RM60mil of that for working capital but the rest of the development cost can be met by other means. Eu Hong Chew, a director, says I-Bhd can tap a combination of some borrowings, internally-generated profits and capital injections by joint-venture partners. In a joint venture with the Al Rajhi banking group, for instance, 80% of i-City’s phase one was sold to that group for RM95mil last year, with I-Bhd retaining the balance. The company has used just 10% of the land for phase one, which leaves most of the rest of the 72-acre i-City to be developed. While I-Bhd is cash-rich, it is not asset-rich in land as the i-City land was bought and is owned by parent company Sumurwang. Eu says there is a supportive arrangement with Sumurwang such that I-Bhd pays for the land only as and when each parcel is developed. It is thus an asset-light business model. In the development, I-Bhd follows a build-and-sell model. It does not sell prior to construction “and it doesn’t even have to borrow to build,” he adds. ISLAND & Peninsular Bhd (I&P) is “cautiously confident” that all the 103 properties under the next phase of its Alam Impian township in Shah Alam will be almost sold within six months of launch in May. Priced under RM400,000 per unit, the 22ft x 80ft Canting 2 double-storey terrace houses have an estimated gross development value of RM40mil. 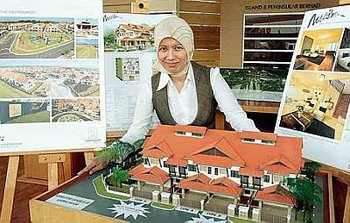 Noor Lida Nazri with a model of the Nukilan houses currently being developed by I&P at Alam Impian. Group marketing and communication general manager Noor Lida Nazri says I&P is confident of strong response because of the project’s location. “This is an integrated township, not a piecemeal development. It is very hard to get a good township in the Klang Valley. “However, looking at the market condition now, we probably have to launch in stages as we do not want to flood the market. “We have to be very cautious but we are confident that terrace houses are still something that people look for,” she tells StarBizWeek in an interview. Alam Impian is a RM4.5bil township that is expected to be fully developed in 12 to 15 years. I&P plans to build about 10,000 homes on the 1,235 acres of freehold land. Noor Lida says the next phase will only be launched when sales of Canting 2 have hit between 60% and 70%. Since Alam Impian was launched in 2006, I&P has sold about 265 of the 309 units launched. Two earlier phases, Canting and Tinta which were launched last December and in January, comprised 115 double-storey terrace houses and 106 semi-detached units respectively. Both phases are sold out and have been handed over to buyers. Early this month, I&P launched Nukilan comprising 54 double-storey linked-houses with land area of 24ft x 80ft and priced from RM465,000 per unit. Noor Lida says a lot of people are viewing the Nukilan show unit but making a commitment would take time due to the economic uncertainty. “They need to check on financing and the downpayment. So far, we have sold 10 units,” she says, adding that the partial opening of Kemuning-Shah Alam Expressway (LKSA) has allowed quick access to Federal Highway and Shah Alam. The LKSA is expected to be completed by the middle of this year. I&P has other township development such as Alam Damai (Cheras), Alam Sari (Bangi), Bayuemas (Klang) and Bandar Kinrara (Puchong). The company focuses on landed property and its products cater mostly for locals. It has a land bank of over 5,263ha in the peninsular. VETERAN property developer Datuk Michael Yam wants to contribute towards raising the standards of the country’s living environment through his strategic, technical and project management consultancy firm, Impetus Partnership which he set up last May to offer holistic strategic solutions to property development companies. Yam ... It’s not too late to undertake a comprehensive master planning for Kuala Lumpur. Since retiring from Sunrise Bhd last March after helming the company for 11 years, Yam is happy to let go of the responsibilities of “micro managing” to other younger breed of managers. “My objective is to provide an avenue for people to harness their skills and expand their horizon as entrepreneurs. I see my role as a lead surgeon who works with other specialists to offer holistic solutions to industry players,” says Yam. He is currently an advisor to several local and foreign conglomerates including Tan Chong Motor Holdings Bhd, Cahya Mata Sarawak Bhd, Serai Saujana Development Sdn Bhd, and more recently Rajawali Corp.
Yam believes the business of creating wholesome living spaces lies with good planning and a good vision from the start of a project’s conception. “Developers need to be proactive by introducing more zest and refreshing layout plans and designs in their projects. Through more holistic planning strategies, they can make a difference by planning and building more wholesome and energising living spaces for the people,” he says. The market is getting more sophisticated with consumers demanding more facilities, convenience and built quality to improve their quality of life. “Good planning and understanding of the relationship between the various usage components is imperative to ensure good quality of life and environmentally-friendly and sustainable developments. Some of the issues to consider include transport connectivity, lifestyle facilities, shopping convenience, community services, as well as security and safety,” he points out. To keep his passion of building quality residences alive and keep him abreast of the latest building know-how, Yam is also venturing into small niche developments in the Klang Valley. Together with some partners, Yam is involved in the Serai Saujana residential project, a luxury RM320mil gated and guarded community on ten acres next to the Saujana Golf and Country Club and two 18-hole golf courses in Saujana Subang. The project comprises two 15-storey blocks of 163 condominiums priced from RM400 to RM650 per sq ft and 42 three-storey villas priced at RM3.5mil to RM4mil each. Launched early last year, the project is scheduled to be completed next year. Together with his consortium members who are private equity funds, Yam is also assessing the viability of two parcels in the Damansara area for a commercial project. With an economic recession at the country’s door step, Yam says the property sector has a big role to play to contribute towards a recovery of the country’s economy given its link to more than 140 other industries. He hopes to make more contributions and changes for the property industry through his active participation in the Real Estate and Housing Developers’ Association (Rehda). He is Rehda deputy president and also the chairman of Rehda Kuala Lumpur. He sees his recent two-year term appointment as a member of the advisory board to the city of Kuala Lumpur as a good opportunity for him to contribute towards turning Kuala Lumpur into a sustainable world-class city. “Kuala Lumpur’s 1.7 million population is expected to expand by 30% within the next decade and there is an urgent need to address the various issues such as putting in place an integrated public transport system, well planned housing projects and world-class infrastructures to meet the needs of the growing population. “Kuala Lumpur must have in place facilities that can sustain a high density if it wants to continue flourishing and become a world-class city,” Yam points out. He says by adopting a proactive stand and active joint private-public participation in urban redevelopment programmes, Malaysia’s cities will continue to thrive and change with the needs of the times. According to Yam, it is still not too late to undertake a comprehensive master planning for Kuala Lumpur as long as there is a strong political will and cooperation from all the relevant stakeholders, including land owners, to enhance the city’s sustainability and quality of life for the city folks. A building engineering graduate from the University of Westminster UK in 1978, Yam is a fellow of the Royal Institution of Surveyors and a qualified member of the Chartered Institute of Building (CIOB). He had an illustrious career spanning 30 years in the construction, real estate and corporate sectors, including five years in Britain and in various Malaysian companies such as Landmarks Bhd, Peremba Malaysia Sdn Bhd, Country Heights Holdings Bhd and Sunrise Bhd. He was involved in the development of hotels, resorts, shopping malls, golf courses, international schools, residential and mixed developments in Malaysia, Australia, Britain and South Africa. Among the projects that he feels passionate about include the Georgian Mansion in London, which he looks upon as his “finishing school” after his graduation; Sungei Wang Plaza (for its vibrancy, variety, wealth and profit generated); Carcosa Seri Negara (a restored state guest house for the rich and famous); The Datai resort (a truly world-class Malaysian resort); and the recently opened St Regis Bali Resort in Bali. Recognising his contribution for steering Sunrise to its leadership position in the high-end condominiums market in the Mont’Kiara enclave and for his good leadership qualities, Yam was voted “CEO of the Year 2002” for Malaysia by American Express Corporate Services and Business Times. Despite his busy schedule, Yam is serving as a director of the British Malaysian Chamber of Commerce and a trustee of Standard Chartered Charity Trust. He is an independent non-executive director of public listed PECD Bhd and statutory board CLAB Bhd. Yam is also one of two Asians on the Board of Trustees of the British-headquartered Chartered Institute of Building which sets global standards for the management and implementation of the construction process. He is an examiner and accreditor for the Institute which has 42,000 members worldwide. With so much on his plate, Yam is taking his time to evaluate and analyse offers available on the table. “Certain criteria have to be met. Apart from the land being in prime location, the project must be easily accessible, has the right address and on a friendly terrain, is not too large, has good visibility and is located in a neighbourhood where the market is ready and receptive towards a green and sustainable development,” he says. The property market in Penang experienced a slight decrease in sales for the first three months of 2009, compared to the previous corresponding period, and the housing sector is likely to soften further by end year. Although there is a drop in sales, there is no corresponding decrease in property prices. Henry Butcher Malaysia (Penang) director Dr Teoh Poh Huat says at this juncture there were no symptoms of a “fire sale”. “For sub-sales, some owners are asking for a lower price to attract buyers. However, current sentiments suggest that the property market will become increasingly soft by the end of 2009,” he says. Presently landed properties in Penang are still holding firm at RM600,000 to RM700,000, depending on the location and size of the properties. Mid-end high-rise properties are still priced between RM300,000 and RM400,000 for a 1,000sq ft unit, depending on their sizes and location. The price of super-condominiums still hovers between RM2mil to RM3mil. The total transactions in terms of sales volume and value in Penang for 2008 are expected to be at least 20% lower than 2007, although the finance ministry had yet to release the official figures. Teoh says the high-end category was more vulnerable to the global economic climate because the owners were now under pressure to seek suitable tenants or a divestment opportunity. “Rental returns from the high-end properties are also rather low. 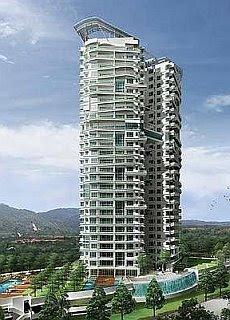 “It is now a buyers’ and a tenants’ market for the high-end property segment in Penang. “Expatriates are now spoilt for choice,” he says. Teoh says the mid to high-end segment was quite sustainable, due to the demand from the young population in Penang. Real Estate & Developers Housing Association chairman Datuk Jerry Chan says the price of properties in Penang would not plunge drastically. “This is because prices in Penang have moved upwards gradually between 7% to 10% per annum over the past five years, unlike the KLCC area where property prices doubled during the period 2006-2008,” he says. Chan adds that developers were now dishing out free legal fees on sales and purchase agreement, free legal fees on loan, and other easy payment terms to roped in buyers during this challenging market condition. On the mainland, there is a 20%-30% drop in property transaction for the first three months of 2009, compared to last year’s corresponding period, due to the uncertainty in the prevailing market and the caution banks are taking towards loans. Prai-based Kington Real Agency business development manager Frankie Soon says however, there was no corresponding drop in prices. “The single-storey terraced properties are the most popular in Seberang Prai. “However, developers are not building that many because they are not profitable,” Soon says. In the current challenging market conditions, when property sales have taken a severe hit causing developers to defer their launches, it may be an opportune time to enhance product research and development efforts to keep their antennae tuned in to the types of products that are in vogue and will drive sales going forward. Needless to say, those who are more proactive and creative in their product offerings, have a better chance of sailing through the adverse market conditions. Towards this end, given rising concerns over the deterioration in the environment and global warming, developers should pay more heed to building more “green” properties that will contribute towards a more sustainable environment. One of the areas that has yet to be tapped in a significant way is that of ecologically- and environmentally-friendly residential projects that are affordable and within the reach of the average middle income households. Most of the green projects available now are still quite exclusive and expensive. To succeed in these green projects, companies must not only be driven by profit but should make it their corporate culture to adopt practices that will reduce the carbon footprints. Keeping things simple and practical by going back to the basics of the good old days of using durable yet inexpensive materials will be a good practice that can be easily revived and meet the needs of the current times when people are closely watching their budget. As responsible corporate citizens, developers should strive to build sustainable and eco-sensitive developments. Wherever possible, they should ensure minimal cut and fill at the site to maintain optimal environmental friendliness in their developments. Being ecologically conscious does not necessarily mean incurring more cost as that may defeat the sustainability portion of the equation. What is needed is for this “green spirit” to be implanted in the company’s DNA as a corporate culture that is practised company-wide so that it permeates every level of the organisation, especially in project planning and decision making process. One way to get this going for developers is to consciously adopt designs and plans that will lower energy and water usage, as well as promote recycling and conservation from the conception stage of the project, Simple measures such as incorporating windows extension up to the floor for both residential and commercial properties to maximise natural lighting and allow cross ventilation will reduce the need for air conditioning and lighting in the premises. So having designs that have ample use of windows, glasses and skylights that promote natural lighting and good ventilation will go a long way towards cutting down the high electricity consumption. To reduce heat, the use of pitch roofs that allow large volume ceiling spaces, extending the roof eves and having deep set balconies will cool the interior of the house. Extensive landscaping and tree planting also provide the much needed shades from the burning sun. Water-saving fixtures and fittings that minimise the volume of water used in households will minimise water waste. One simple example is the use of low-flow water closets in the toilets. To promote recycling and reduce wastage, providing recycling bins in various locations for community use will be a good start. Recyclable construction materials should be re-used in other developments to avoid wastage. Under the company’s green efforts, Mah Sing Group Bhd prefers using masonry materials over materials manufactured with high energy power. High grade local materials are also preferred to provide a convenient source for future replacements. The selection and specification of materials are based on ecologically sustainable design and are sourced locally and the efficient construction methods it adopt minimise the dumping of materials. Even the appliances selected for the fit-out of the houses are based on low energy ratings. During the current economic turmoil when the majority of Malaysians and corporations have to resort to cost cutting measures to ride out the tough times, going green and back to the simplicities of life seem to be a wise choice for them. In Seberang Prai, the largest project to be launched this year is the Pearl Garden, a joint-venture housing scheme by Taman Indah Group and Mutiara Goodyear Bhd. The Pearl Garden, targeted for launch in May, comprises 616 bungalows, semi-detached, and terraced houses with an estimated gross sales value (GSV) of RM210mil. “The Pearl Garden project is located in a 1,086 acre township developed by Mutiara Goodyear Bhd to become a fully integrated township for the Simpang Ampat community, which will serve as a growth catalyst in the region,” says Tambun Indah managing director Teh Kiak Seng. Teh expects property prices on the mainland to remain resilient due to high land costs, insignificant decrease in raw materials except for steel, and high labour costs due to the shortage of construction workers. “The current economic environment has affected the housing sector. In order to mitigate the effects, we are absorbing legal fees and stamp duty on transfer and zero interest for new purchasers during the construction stage,” he says. 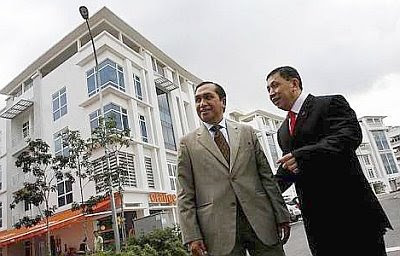 Island Landcap Sdn Bhd, a company specialising in developing high-rise properties on the mainland, is launching some 350 units of apartments with an estimated GSV of RM65mil in Seberang Jaya at the end of 2009. Its managing director Oon Weng Boon says that the yet to be named scheme, located on a seven acre site, would be equipped with life-style facilities. They are mid-income homes, priced between RM150,000 and RM180,000, but they come with the facilities that you would enjoy from a high-end condominium on the island. These apartments are priced about 30% lower than landed properties on the mainland. Oon says the company plans to launch another 650 units of apartments in 2010. The company previously developed 300 units of similar type of properties called Cassia Resort Condominiums in Jalan Raja Uda. The merger of three property firms taken private by Pemodalan Nasional Bhd will be completed by end of June, says president and chief executive officer Tan Sri Hamad Kama Piah Che Othman. “We are supposed to complete the exercise by end of June,’’ he said in Kuala Lumpur yesterday. Hamad was speaking at a briefing to announce income distributions for three funds under the Amanah Saham Gemilang (ASG) stable for the year ending March 31. It was reported earlier this month that PNB is grouping together Island & Peninsular Bhd, Pelangi Bhd and Petaling Garden Bhd into a single entity. It is unclear at this stage whether the enlarged property group will be publicly floated. All three companies were previously listed on Bursa Malaysia before they were taken private by PNB over the past few years. Analysts opine that the timing for any potential re-listing will depend on market condition. Meanwhile, the weak share market sentiment has dragged down the performance of funds under ASG. “Despite the decline in payouts, the yields for the three funds are still competitive compared with rates in the market,” says Hamad. For the 6,557 unitholders in ASG-Pendidikan, the payout for the year dropped to 5.5 sen per unit from 7 sen last year. The total amount distributed for the year was RM2.14mil. ASG-Kesihatan’s 4,065 unitholders will get 6 sen per unit, compared with 7.25 sen previously. Meanwhile, the income distribution for ASG-Persaraan, which affects 2,767 unitholders, was set at 5 sen versus 6.75 sen per unit a year ago. All three funds have been suspended since March 25 and will resume trading on April 1. EASTERN & Oriental Bhd (E&O) is halting expansion work on its E&O Hotel in Penang. According to the heritage guidelines submitted by the local authorities to Unesco, buildings in the heritage zones must not exceed 18m in height. Group communications and investor relations director Lyn Chai says E&O has recently stopped work and will wait for clarification from the relevant authorities, which is expected in June. “Presently, activities at the site is confined to the car park level where we are carrying out the necessary concrete works to protect the formworks and steel bars (which are already in place) from corrosion and to prevent material wastage,” Chai tells StarBizWeek. The E&O Hotel expansion project, known as Annexe, is one of the four developments on the island that faced height restriction problems after Penang was awarded the World Heritage Site status by Unesco a year ago. The other projects are the RM400mil Pier Hub, the RM130mil Royal Bintang, and the Low Yat Group’s proposed 23-storey hotel on Jalan Sultan Ahmad Shah. While the first three projects were approved by the previous state administration, the proposed 23-storey hotel was given the go-ahead in June last year, less than two weeks before George Town won the Unesco status on July 7. Chai says the group had originally in 1996 obtained building plan approval from the local authorities for a 28-storey building. “But we scaled it down to 15 stories in 2008. When the Unesco height restrictions came to the forefront recently, we decided that it would be for the best interest of George Town, and consistent with E&O Hotel’s unique position as a heritage hotel, to review our plans and await formal notification from the authorities,” she adds. Chai says when the group bought the hotel, the purchase consideration included the adjoining parcel of land (where the E&O Annexe now stands), which was already approved for high-rise development. The expansion plan includes the construction of over 100 guest suites, an additional restaurant, boutique retail space, meeting and conference facilities as well as a branded spa. JAPAN may set up a US$10bil fund to buy properties held by real estate investment trusts (REITs) and make loans to the trusts, the Nikkei business daily said, pushing shares in the hard-pressed sector up nearly 8%. REITs have fallen on hard times as the global financial crisis has pushed down property values and squeezed financing, driving investors out of the market. ”The news helped ease investors’ worries about the REITs’ financing problems,” said Daisuke Seki, a REIT analyst at IB Research & Consulting Inc. The Nikkei said ruling coalition lawmakers were concerned that a protracted downturn in the REIT market would hurt regional banks, who are big buyers of REIT units, and damage the financial sector. One Japanese REIT, or J-REIT, has failed so far during the crisis, while 16 listed property companies collapsed last year. Regional banks are suffering in the global crisis, as sliding exports and a deepening recession in Japan hit their customers, with falling property values adding to the pain. A panel from the ruling Liberal Democratic Party and its coalition partner, New Komeito, is looking at the problems of REITs as part of measures to stabilise financial markets, an LDP official said, but no decision had been taken. The coalition parties are planning to finalise the stabilisation measures by the end of the month.